VANCOUVER — Chances are, almost everybody comes into contact with an HP product at least once during the day. Be it a laptop computer or home office printer, Hewlett-Packard has become a household name across the United States and the world, and Clark County is no different. What many area residents do not realize, however, is that some of the products they interact with on a daily basis are developed in their own backyard. The new HP office building, opened in 2016, focuses on providing a comfortable, modern workspace for employees. The office “bleachers,” pictured above, is where workers gather for larger-scale meetings and conferences. Photo courtesy of HP Vancouver. Nearly all of HP’s printer products have been developed at the company’s quiet Vancouver branch in Fishers Landing since the office first opened in 1980, beginning with the HP Thinkjet printers in 1984. HP’s Global Head of Digital Experience, Carmen True, works at the Vancouver site. A Pacific Northwest native, True explains that, although HP Vancouver began as a printing research and development location, it has since grown to encompass much more. “We also have a lot of business functions here, too. We have sales, we have marketing functions, finance, legal, HR, that all happen here in Vancouver, too,” says True. As the branch has developed over its 38 years in operation, the site has also added new neighbors and new buildings. HP moved in 2011 to the former Nautilus building, along with nonprofit healthcare company PeaceHealth. In 2016, HP opened a new office one block south of the shared site to function primarily as an administrative and office-related workplace. The new building places an emphasis on comfort and currency, with its layout and architecture designed to give employees the freedom to choose their type of work environment. 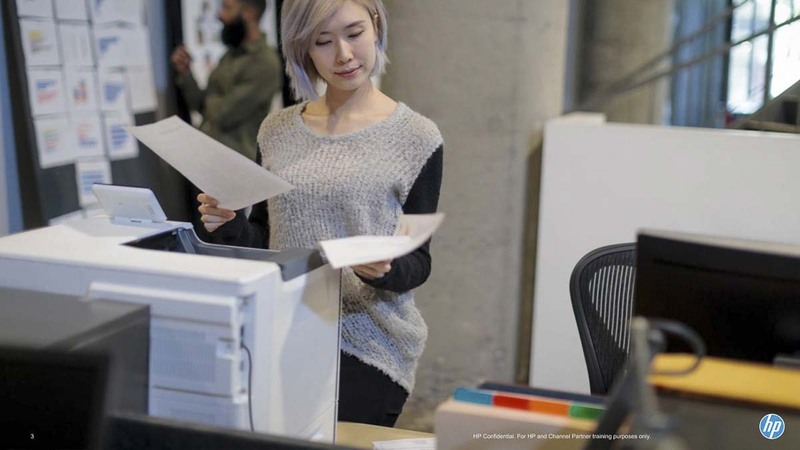 HP Vancouver is the company’s premier printer R&D site, where nearly every HP printer since 1984 has been developed, beginning with the ThinkJet printer. Photo courtesy of HP Vancouver. The company’s dedication to its employees shows itself in the type of workplace that HP provides, not only in Vancouver, but worldwide. With 55,000 employees, it should be no surprise that HP values diversity within its workforce, as different people from different backgrounds bring different experiences and ideas to the table. HP touts its board of directors as being one of the most diverse in the tech industry, with equitable representation of women and many different ethnicities within the company’s leadership. As True states, “Diversity means different things in different places.” Because HP is a Fortune 100 company in 170 countries, this statement rings especially true when considering the diversity among HP’s worldwide employees, which, according to True, is 32 percent female overall, and 57 percent female in legal, financial, HR, and marketing branches. Perhaps the most significant way in which HP fosters a healthy community within its workforce is by offering network groups for employees of varying backgrounds, ethnicities, and ages. Dubbed “Employee Resource Groups,” these networks are designed to give employees of specific identities the necessary resources to succeed at HP. This means that a young employees network within the company functions as a social and support group for younger HP hires to better understand the company in which they work, while also learning from other workers in similar positions. Network groups for women and multiple groups for different ethnic backgrounds are available to employees, as well. While serving its employees is a foundational part of HP, community service and engagement is also one of the focal points of the company. In Vancouver, employees are openly encouraged to get involved with the area community, and HP sponsors more than its fair share of community functions. According to True, HP focuses its community service efforts heavily on the STEM (science, technology, engineering, mathematics) field. As such, HP has been involved in the Science Olympiad throughout the years, with many of its employees giving of their time and money to Science Olympiad-related functions. In fact, with HP’s 1-to-1 donation matching policy, over $30,000 has been donated annually to the cause. Among HP’s various community engagement efforts is an especially strong dedication to growing science, technology, engineering, and mathematics knowledge among area youth. Pictured is a group photo from a science fair hosted by HP. Photo courtesy of HP Vancouver. In addition to the Science Olympiad, HP sponsors other tech-related functions, especially those among area youth. 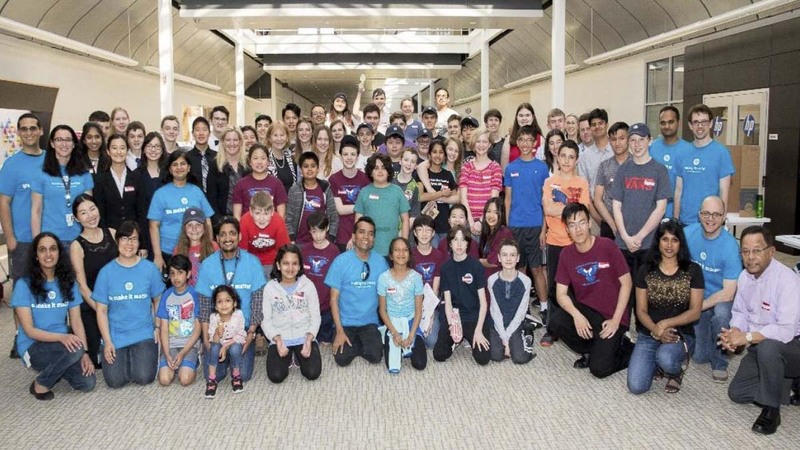 Of these programs, True is especially proud of HP’s sponsorship of robotics camps and clubs, which are often invited to the HP Vancouver office to showcase their work and learn from professionals in the tech industry. Among these community engagement programs are a bloodmobile that has partnered with HP for many years. Additionally, the Firstenburg Center often benefits from HP’s employee engagement community, from which volunteers regularly come to manage the landscaping at the Firstenburg Center. HP employees also take part in the Days of Caring, during which the company encourages involvement in local charities or community service efforts. As True notes, service is a two-way street, and HP Vancouver has benefited from the community just as much as the community has benefited from HP. As HP and the Clark County community continue to benefit one another through mutual engagement and innovation, the possibilities of what comes next are exciting HP employees and area residents alike. With nearly 40 years under their belt, HP Vancouver has proven itself to be a valuable asset, both to HP as a global partner, and to the area community as a local partner. With new 3D printing technology, marketing business models, graphics solutions, app development, and consumer/commercial printing all on the horizon, HP Vancouver takes pride in the advances that come from their community as they send it into the worldwide market.